Bedford Green Wheel is a roughly circular route around Bedford, primarily designed for walking and cycling and to provide access to green spaces and recreational areas. It's a great way of visiting our existing parks and green spaces, whilst getting fit and having fun. The Green Wheel is mostly off-road with some sections on quiet roads. 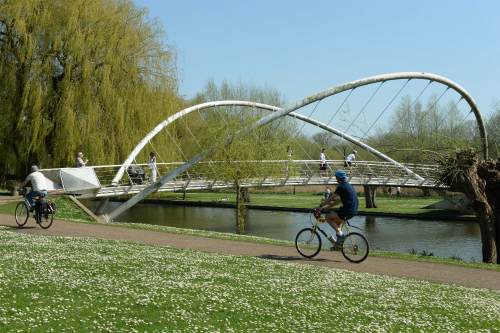 Bedford Cycle Network, including Bedford Green Wheel, is available on the Bedford and Kempston walking and cycling map.